Wednesday, February 24th, 2016 at 10:17am. 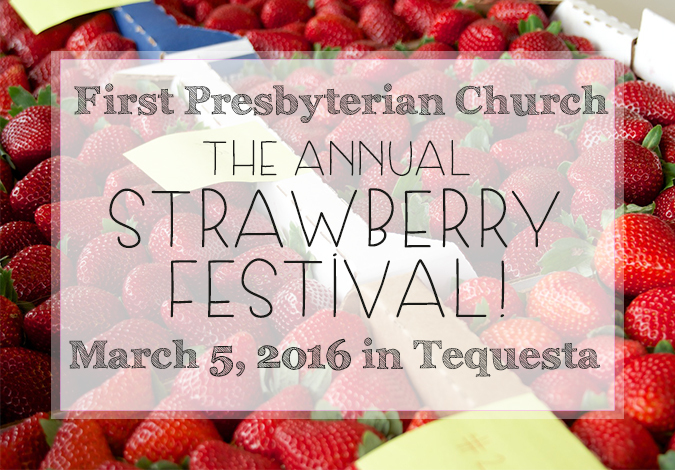 The Annual Strawberry Festival at the First Presbyterian Church in Tequesta is coming to town next Saturday, March 5, 2016. Come experience a magical world filled to the brim with strawberry creations.